With the strong rumor that Halo: Combat Evolved is going to be remade graphically from the ground up, it brings us to the question of why aren’t more games being remade? We’re not talking about reboots like the new emo Devil May Cry, or re-imaginings like the first person shooter XCOM. We’re talking about a true remake like you see endlessly from Square-Enix with its Final Fantasy games on the handhelds – they’re completely faithful to the original, save a new engine, graphics and occasionally an additional mission or two; the upcoming localization of Dragon Quest VI is a great example. These games aren’t old or have already been remade, so you won’t see M.U.L.E., Sid Meier’s Pirates or Seven Cities of Gold – in fact, the oldest of the games is from 1994. You also won’t see games that require little work to be remade, which is why you won’t see Grim Fandango here, either. These games would require serious undertaking. The games also have to remain the same genre and style, so no Elder Scrolls version of Ultima IV, either. Without further ado, here are five older games that desperately need a remake – in alphabetical order. This was the game that made Ensemble Studios a star. While the first Age of Empires was a good game, mixing Civilization with Warcraft, Age of Empires II: Age of Kings, released in 1999, honed the game to a fine sheen, and made a real-time strategy game that even people who didn’t like RTS’s enjoy. There was just something magical about the game – the lush graphics, the gameplay choices and the way abilities were branched. 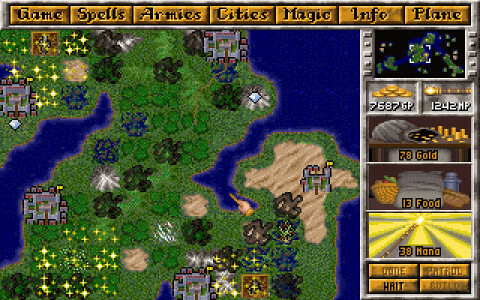 It was as addictive as Warcraft II, but it was far easier to relate to because it was about human history, not the fictional fantasy land of Azeroth. Most gamers didn’t even know what a trebuchet was until this game. The Remake: Well, the graphics were lush in 1999 – they’re just pixellated now. There’s no changes needed in gameplay, but the graphic engine could use a boost, even if it were to just Warcraft III levels. We’re greedy, though – we’d like to see it push graphic cards for those gamers who could handle it, like Starcraft II. One of the things that we’re implement is that every single civilization look different. The French should look different than the British, let alone the Aztecs, Saracens or Japanese. With better CPUs, have mega-sized maps with 16 players going on at once. The Reality: Robot Entertainment, which is comprised chiefly of ex-Ensemble Studio developers, is making Age of Empires Online, an MMORTS that allows for both co-op and competitive gaming. The graphics are on the cel-shaded cartoon side, and the MMO itself will be free-to-play with premium content. It’ll be a Windows LIVE game, so it’ll even have Xbox 360 Achievements. One of the most beloved games of the last decade, released in 2000, Deus Ex successfully melded the roleplaying and first person shooter genres. 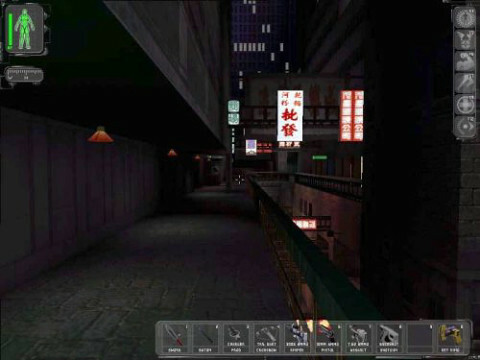 The game was filled with dialog, philosophy, paranoia, and one of the first computer roleplaying games that dispensed with the idea that killing enemies granted experience points – exploration and mission goals did. The game won most of the Game of the Year Awards that year, and with good reason. People still play it even now. The Remake: Unfortunately, the graphics were poor even in 2000. While not on the level of bad that the character models were in System Shock 2, the way the character’s mouths moved was silly at best, distracting at worst. The game desperately needs a graphic overhaul. Imagine instead of the Unreal engine it was developed on, if it were done on the Unreal 3 engine. Combat could be made smoother, though since RPG stats are applied to gun skills, it may be an inherent flaw that can’t be fixed. The Reality: Deus Ex: Human Revolution is being released this year, as a prequel to the first game. It’s looking very good, and recent gameplay videos are reassuring in that it really is a Deus Ex game. 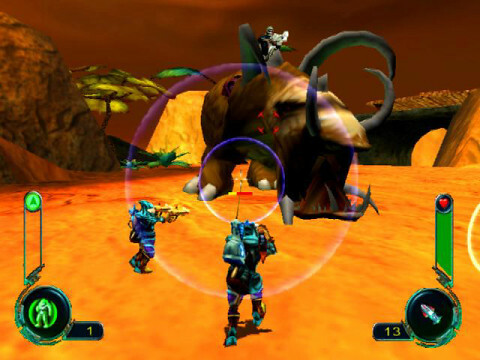 Giants: Citizen Kabuto is a game that has been all but forgotten – a third person shooter mixed with real-time-strategy, but where Brute Force failed, Giants succeeded. Not only did it have wildly different gameplay perspects when the player’s control went from the tech-obsessed Meccaryns, the magic-wielding mermaid-like Sea Reapers, to the giant Godzilla-like Kabuto, but a dry, witty British wit dispersed through the entire game. The game created a believable alien world, and had fun with it, without forgetting there was pathos as well. This game was well ahead of its time, basically Beyond Good & Evil before Beyond Good & Evil. The Remake: The game’s beautiful graphics hold up in 2010, but the awesome vistas could be made more detailed. While all of the games in this list could use a graphic overhaul, Giants would greatly benefit from the current dual analog gamepads of today. Mouse and keyboard just didn’t feel right with Giants, and the PlayStation 2 version did use it to great benefit. Most of all, the gamers of 2010 would be more interested in Giants than the gamers back in 2000 did. This game deserves a new audience. The Reality: There are no plans for the IP, even with Big Moon acquiring 37 ex-Shiny Entertainment employees. Speaking of genre mixing, which seems to be a running theme here, Master of Magic was a joyous blending of Civilization, Master of Orion, and Magic: The Gathering. This was one of the few games at the time (1995) which had truly unique units that looked and acted unique, while maintaining some level of balance, though some veterans will grumble about the human paladins and halfling slingers. It had colored, themed magic, aggressive opponents and some deep gameplay. It was almost impossible to play with new Windows OS’s until GOG.com released a slightly modified version designed to handle new rigs. Thank you, GOG! 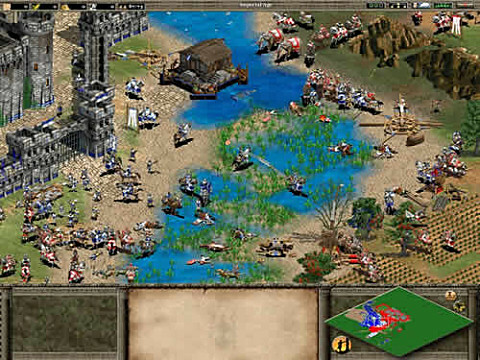 The Remake: Again, the graphics, while they still hold up somewhat – after all, it is a turn-based strategy game – could use an upgrade, and unlike most games, since it’s tile-based, it would be easy to do. Of course, you could go for the isometric, breaktaking beauty of Civilization V, too. However, detailed 3D modeled units would be just fabulous. The game still could use some gameplay balance tweaking – and while you’re at it, how about AI sliders much like sports games? The Reality: Atari owns the license, and is currently doing nothing with it. Age of Wonders was a semi-successful attempt to mimick the game, and Stardock has pined for the license for years, and have released their take on the genre with Elemental: War of Magic. At this point, a Master of Magic 2 is too much of a pipe dream – how about a Master of Magic 1.5 remake? The Remake: Technically, I’m bending the rules here, since there was a remake, Sid Meier’s Railroad! However, that game had little in common with the original game. 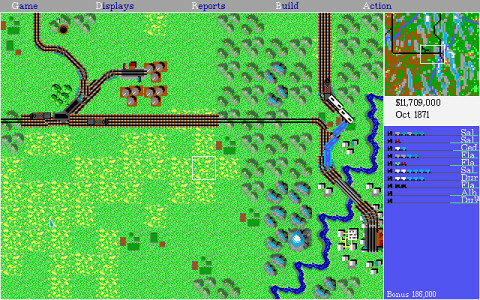 It, like Railroad Tycoon II and III (both of which were not developed by Meier), was extremely focused and had none of the scope of the original. The maps were much smaller, there was no economic warring, and it just felt limited. Having a Railroad Tycoon with the complexity of the original but 2011 graphics would be a danger to human life on Earth, from its sheer addictiveness. The Reality: The entire Railroad Tycoon IP seems to be dormant, if not dead. Sid Meier’s Railroad! is still available for download – and pretty inexpensive. The best in the genre, however, is available free for download, though the controls are wonky. Rather than going with the more well-known sequel, we’re going with the original System Shock. Released in 1994, this game was shockingly advanced for its time. Most shooters were games like DOOM – maze crawls with no plot or story, or even interactive environments save “insert key here”. System Shock was basically a deep roleplaying game in first person perspective. It also introduced one of the all-time great villains, SHODAN. 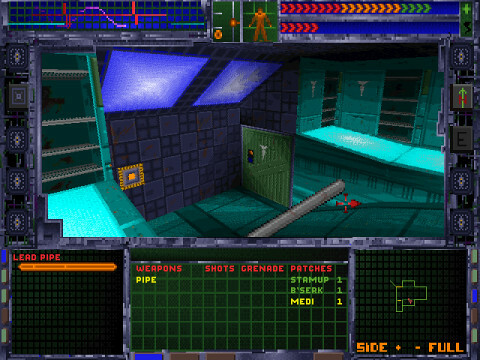 The Remake: The first System Shock desperately needs an update. Forgetting the 1994 level graphics (which predate by two years games like Quake and Duke Nukem 3D), the controls are absolutely horrid. There’s no mouse look, the inventory is confusing, the gameplay is stilted. However, the design is still amazing, the environments, for all their dated graphics, are detailed and logical, and the story is just as captivating as the sequel’s. It really needs modern conveniences and standards, however. The Reality: Forget it. The System Shock IP is in legal hell, and the closest anyone will ever come to System Shock is the BioShock series. When people talk about stealth-based games, there’s really only one series: the Thief series. Other games like Metal Gear Solid or No One Lives Forever have nods to it, but only Thief made it the main gameplay mechanic. Garrett the Thief, one of the coolest characters in videogame history, can’t fight. He can take on one guard, but if he’s discovered, you may as well put a toe tag on him. His job is to avoid contact. The hardest difficulty levels not only require he not kill anyone, but sometimes not knock any civilians out. We’re going with the first game, which is the hardest of the series to implement on new computers, and is also the creepiest and scariest of the three games. The Remake: Like Deus Ex and System Shock 2, the human character models were terrible, even for the time (1999). Thief: The Dark Project‘s humans looked like carved wooden marionettes, and even jerked around like them. 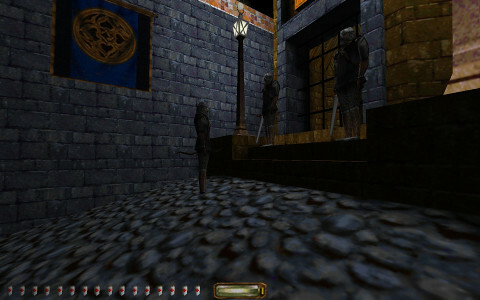 The game’s Dark engine was mainly concerned with light sources and how they fell on objects. It also didn’t let the game feel too “floaty”, which Thief: Deadly Shadows was. The Reality: Thief 4 is coming either late this year or 2012. Hopefully, it’ll recapture the scariness and gameplay of the original. But a remake of the original story would still be awesome. Those are the Seven Games we’d most like to see remade – let us know if you have your own ideas for games that should be remade. We do, so sometime in the future we’ll have a Part II to this list. Let us know what you think.